We Built This City, for the second time this week, delivers a picture of some food that looks so good I want to jump through my computer screen and devour. 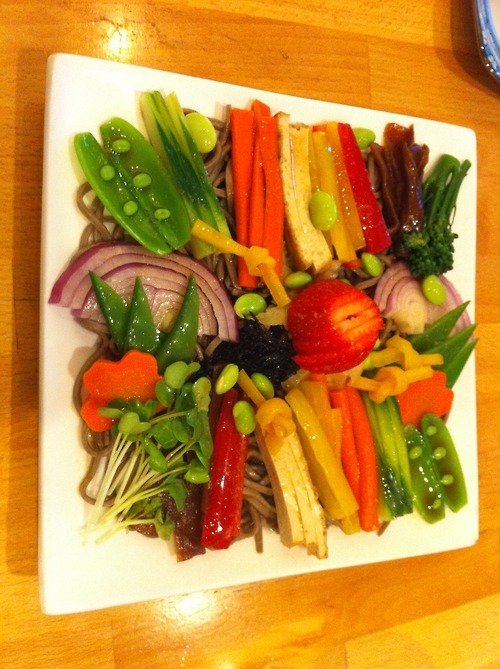 This time it’s the soba salad at Cha-Ya. Deeeeelicious. I usually get it when I go to Cha-Ya. Don’t forget the Cha-Ya roll! It tasted as good as it looked. I love Cha-Ya! WOW! Talk about veg meals that make me want to go SPOOOooo…! Oh, I’m sorry… were some of you eating?